As the international community observed the UN World Water Day last Friday, March 22, two Central Asian countries were part of important talks at UN Headquarters in New York concerning water-sharing. Tajikistan and Uzbekistan have been engaged in a dispute over the building of a reservoir-type Rogun hydroelectric power plant in Tajikistan, which Uzbekistan has contended would disrupt flow to downstream countries, including itself. 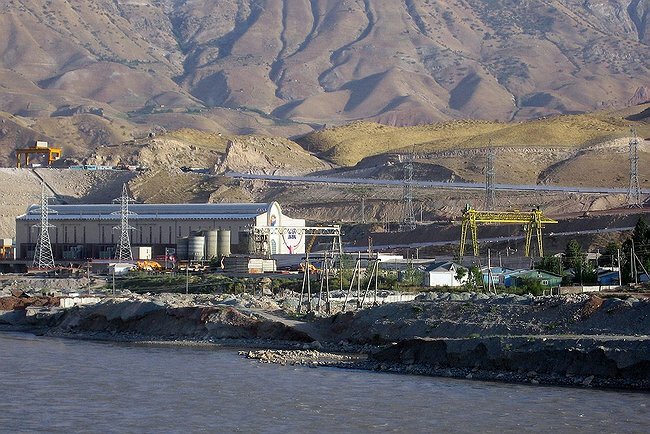 Uzbekistan, a country never absent from important meetings on water issues, proposed an alternative to the Rogun project involving the construction of smaller hydroelectric plants, which would bypass or avoid changes to the stream-flow regime. These talks bring attention to a broader nexus of water, climate and energy security in Central Asia that is worth watching closely by both regional leaders and the international community. The uneven distribution of water resources poses serious problems in Central Asia. Although the sources of the largest rivers are formed in Tajikistan and Kyrgyzstan, the flow is significantly weakened by hydroelectric plants as they make their way to the downstream countries of Turkmenistan, Uzbekistan, and Kazakhstan. Accordingly, while the reservoir dam in Tajikistan collects water in summertime, Uzbekistan and Turkmenistan suffer from a lack of water for irrigation purposes, particularly during dry periods – the frequency of which has been rising. The effect on the agricultural economies of downstream countries is worrisome, with water shortages potentially inhibiting future development. Although a due diligence analysis of the project, facilitated by the World Bank, was recently conducted by an expert group, the Uzbek side refrained from supporting their findings. Instead, the Uzbek government points to a potential bias as the process was outsourced by the Tajik government to firms of their choice, without the input of all of interested parties. Aside from the unequal distribution of water resources, the destabilizing effects of climate change may add an additional layer of insecurity in the region. Two recent studies of the heat wave in 2010, which significantly impacted agricultural production in Russia, Kazakhstan and Ukraine, have concluded that the event had a 70-80% likelihood of being attributed to a “long-term climatic warming trend.” A 2009 report by the Eurasian Development Bank found that the main contributor to climate change in Central Asia has been a significant increase in ground air temperature, with the plains experiencing the highest rates of average annual temperature increases. These climatic changes may already be aggravating ‘compounded crisis risks,’ making instances of contemporaneous energy and food shortages more commonplace through simultaneously melting ice caps in the mountains, which feed many of the region’s rivers, and exacerbating the desertification process through extended drought. For example, the agricultural sector of Uzbekistan – especially the cotton industry – are dependent on water resources of the Syr Darya River and its tributaries, which are fed by glaciers in the Tian Shan mountains. In order to minimize the economic impact of water shortages on the economies of the affected countries, a joint effort in implementing adaptation measures, as well as a regulation of balances among the interests of the upstream and downstream country governments, is needed. Efforts undertaken for the development of regional cooperation and reduction of tensions in the region around the problem of access to water and energy resources following the fall of the Soviet Union, resulted in a series of bilateral and multilateral agreements signed by the five country governments of the region. Unfortunately, due to the inadequate implementation of commitments made, and continuing political disagreements, not a single concluded agreement is currently in full-force. Furthermore, a lack of institutional capacity to develop adaptation programs has led Central Asia towards a reliance on external contributions. The intricate fabric of tensions and relationships characteristic to contemporary Central Asia is being unraveled by those taking part in a scramble for influence in the region. The region has long attracted the attention of the international community due to its natural resources, strategic position, and proximity to regions with a high level of conflict. The United States recently offered Uzbekistan some military equipment leftover from the war in Afghanistan. This offer counters Russia’s promise of military assistance to Tajikistan and Kyrgyzstan, in an effort to strengthen security in the wake of ISAF’s withdrawal from Afghanistan. China is another major investor in Central Asia, particularly due to its interest in further developing economic projects in the region, and ambitions of facilitating regional stability. The European Union is also paying close attention to Central Asia, developing a new regional strategy for 2014-2020. While each power inhabits a different sphere of influence, Russia’s role in Central Asian security trumps the efforts of others at establishing themselves as the main player. Despite all these efforts by external powers, the main culprit of instability in Central Asia remains poor governance and divisive self-sufficiency politics. Central Asia’s autocratic regimes are generally more interested in holding on to power than the well-being of their populace, and have expertly played common perceptions and trends to their political advantage. The image of the region as a haven for militant rebel groups is perpetuated by regional regimes that use it to justify their repressions. The question is – will the governments of Central Asian states leverage such overtures to their countries’ advantage? The countries of Central Asia would benefit from familiarizing themselves with ways of attracting additional financial resources, both from national and international sources, and making use of lessons and practical information on land and water-usage, as well as ecological monitoring, commonplace in developed countries. Mitigation of vulnerability to drought can also be approached through financial risk-management tools such as weather derivative contracts. By transferring weather-related risk to market counterparts, index-based weather derivatives have been used in a number of countries to strengthen agricultural security. The use of the weather market and index-based insurance products can be intermediated by development banks. Furthermore, the Eurasian Bank supports the idea of further integration in the region, starting with concrete industries and aimed at building more cooperation. In short, though the region faces myriad risks to food, water and energy security, there are practical steps for enhancing good governance that can help mitigate these risks. By Caitlin Werrell and Francesco Femia in climate and security on March 28, 2013 .